The product features one-touch card copy to enable editing and sharing of content out in the field, as well as the capability to directly access the device within third-party mobile creative apps, like FiLMiC Pro and LumaFusion. It has a built-in SD card reader with up to 65 MBps read speeds and a one-touch copy button that makes it easy to quickly back up photos and videos from an SD card without a computer or additional software. 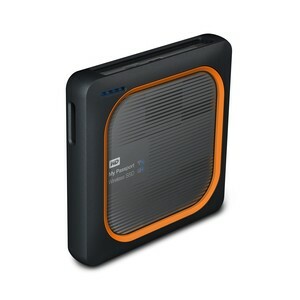 Other features include a durable, shock-resistant SSD inside that helps keep content safe from shock, vibrations and drops up to 1 m, even when the drive is in operation; fast SSD transfer speeds (up to 390 MBps read) when using the USB 3.0 port to move files to and from PC or Mac computers; all-day battery life (up to 10 h of continuous use); wirelessly stream 4K videos and view photos with the My Cloud mobile app; and RAW image support. 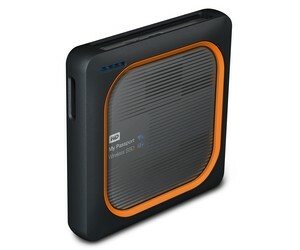 I am interested in Western Digital My Passport Wireless solid state drive .